Normal People, Sally Rooney’s extraordinary second novel has already been longlisted for the Man Booker Prize 2018 and at 27, she could be the youngest writer ever to walk away with the prize. Anyone who has read her first novel, Conversations with Friends (2017), will hardly be surprised as they will know that she writes with breath-taking fluency. She wrote 100 000 words of her first book in just three months, by often writing for 17 hours a day and prior to this was a European debating champion. This might partly account for why the dialogue in her novels is so startlingly good. Katharine Kilalea is a South African poet who has written a startlingly good first novel. 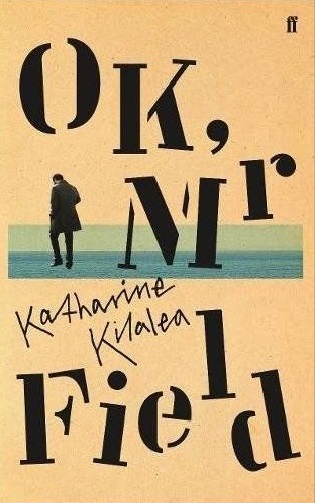 OK, Mr Field (Faber, £12.99) is the haunting story of a concert pianist whose wrist is fractured in a train crash. On a whim, he uses his compensation money to buy a house that he has only seen in pictures. If that sounds dull, this might be because it is hard to convey the shocking accuracy of Kilalea’s prose, which, ultimately, is what makes this novel so riveting. The absolute correctness of the vocabulary she uses makes one realise how pretentious and unnecessary the language in much contemporary fiction is.